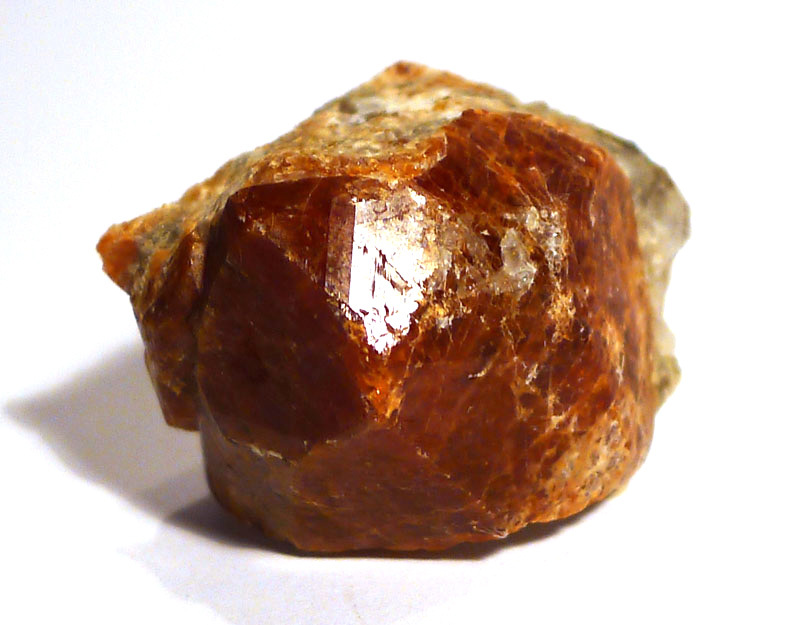 In addition to the general properties of garnet, hessonite brings a sense of strength, protection, balance and centredness, and can help to gently ground. Its energy is warm, lively and mood-lifting. It aids meditation and strengthens our connection with nature and the Earth. It also strengthens Chi (Life Force), filling the inside of the body to give strength to the outside, without cutting the user off from the outside world. 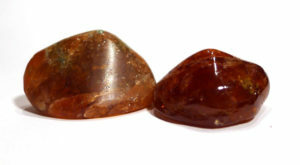 Hessonite can be used to treat a variety of abdominal problems, particularly those associated with the intestines and the female reproductive system, and as such can be used to relieve period pains. When held during meditation, it may also work on the physical body at the same time. Hessonite garnet is a variety of grossular garnet. 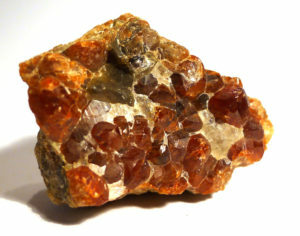 It contains calcium, and colouring is red-brown (hence the nickname “cinnamon garnet”).